Description: Easy Way to Schedule your WhatsApp Messages on your Android Phones. Send Automatic Messages in WhatsApp. 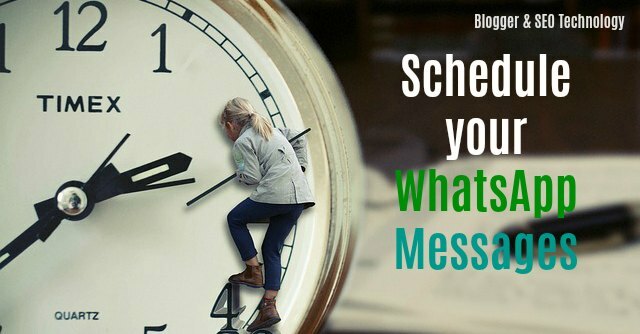 Do you want to schedule your WhatsApp messages on your android mobiles? Do you often forget to wish your friends on their birthday? 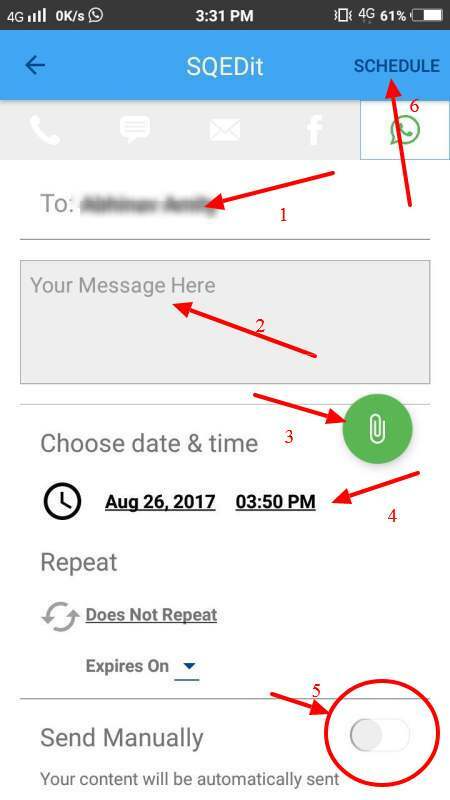 If yes, here is an easy way to set your time and date for your WhatsApp messages and recipient to send automatic messages. You don't need to wake up at 12 o'clock and send birthday messages to your friends. 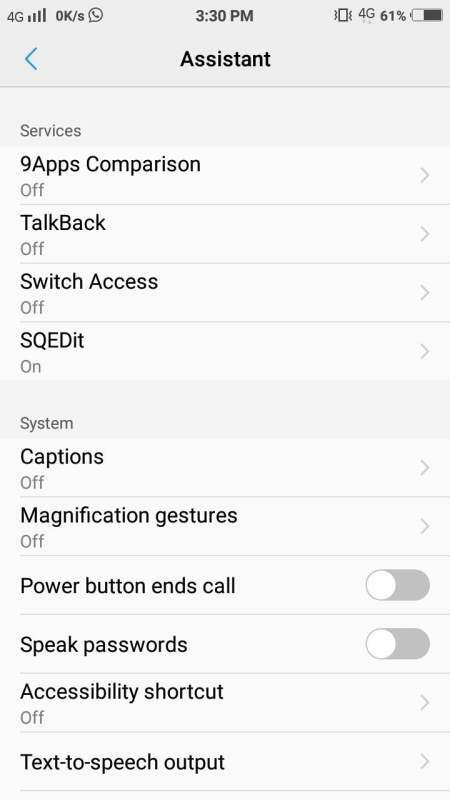 To scheduling WhatsApp messages you don't need to root your android devices, however few applications need rooted device to schedule your WhatsApp messages. The following app is not only scheduling your WhatsApp message, you can also schedule your Facebook status, email, SMS and even it can notify you for call to someone as notification. Overall this app is awesome, you will really love it. Therefore, here is a quick and step by step guide to schedule your WhatsApp message on your android Smartphone. Go to play store and install SQEDit app to your android mobile. Once your app installed to your mobile, open and creates an account or you can sign in using your Facebook account. If you're using your Facebook account, don't forget to select 'Public' from 'Friends' when ask for 'who can see SQEDit's post on your timeline'. If you do it, your schedule Facebook status will be publicly post. The app will ask you for 'contacts' and 'make and manage calls' permissions, simply allow it. Now, this setting is very important for scheduling your WhatsApp messages. It will ask for accessibility setting. Tap on 'OPEN SETTING'. Now, look for 'SQEDit' app and convert it service from 'Off' to 'On'. Now, you will see the next page, from here you can select your services (you may also enable or disable services later). As of now, tap on WhatsApp to enable its service and again tap on 'Done'. 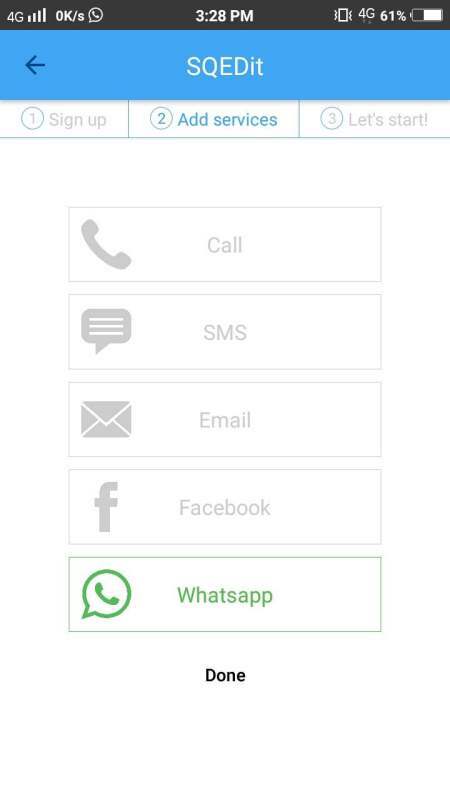 In step 1: Choose the contact you want to send automatic WhatsApp message. In step 2: Write your message. In Step 3: You can add attachment as videos or photos. In step 4: Set time and date. You message will be deliver at this time in future. In step 5: By default this option remains 'On' that is mean your message will not deliver automatically. Instead of it, it will notify you just before the date you have set in step 4. From the notification area, you have to tap on 'send' button manually. You can also cancel or edit it at the last moment. Disable this option as you can see in the above screenshot then it will not notify, it will be delivered automatically. Note that if your phone has screen lock as password/pin or pattern it will not send automatically. To send WhatsApp message automatic you must set your screen lock to 'None' or 'Swipe'. 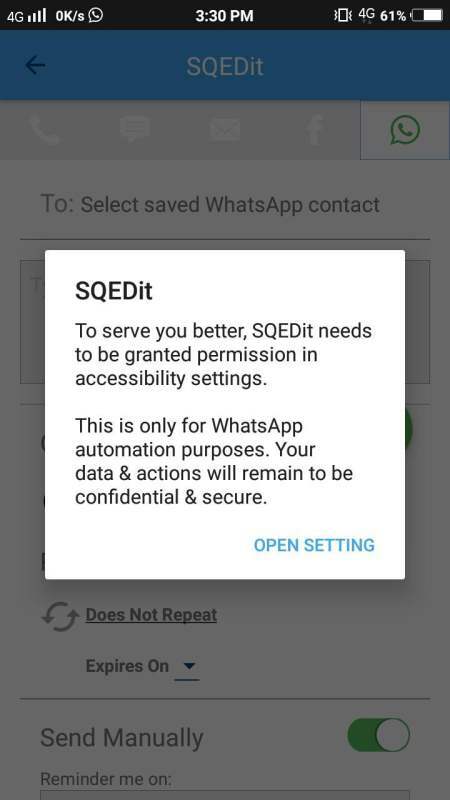 It is not a bug from the app while it is a security feature of WhatsApp. In step 6: Finally, tap on Schedule. You have successfully scheduled your WhatsApp message.